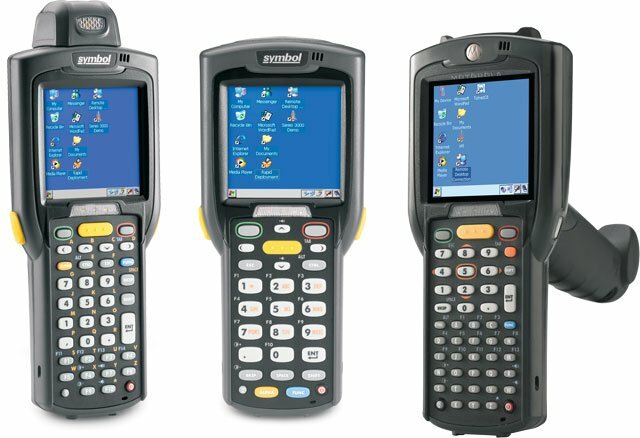 Symbol MC3090 Complete Kit - Includes everything you need: MC3090G terminal (Gun Configuration, Windows CE Pro OS, 802.11a/b/g Wireless, 48 key, Color Display, Laser Scanner. Order cradle, cables & power supply separately. See accessories. ), charging/communications cradle, USB cable, US power supply and AC line cord. RS-232 serial kit also available, call for more information. Delivers 802.11a/b/g capability, improved WLAN Security options and a pistol-grip form factor. The Symbol MC3090 series builds upon the success of the MC30000 series by delivering 802.11a/b/g capability, improved WLAN Security options, the latest CE .NET operating system and the introduction of a new form factor for this family - the MC3090 G, with integrated trigger handle.The MC3090 features a 320x320 resolution, a standard 1D laser scanner or 2D imager, integrated 28, 38 and 48 key keypads and a 16.2 watt-hours smart Lithium-ion battery. The MC3090 is also rated for toughness - able to withstand 4' drops and over 500 1/2-meter tumbles.The Symbol MC3090 is ideal for both simple retail use and demanding industrial applications. The Symbol MC3090G-LC48H00GER-KIT is also known as Symbol Technologies	MC3090G-LC48H00GER-KIT	or MC3090GLC48H00GERKIT	.